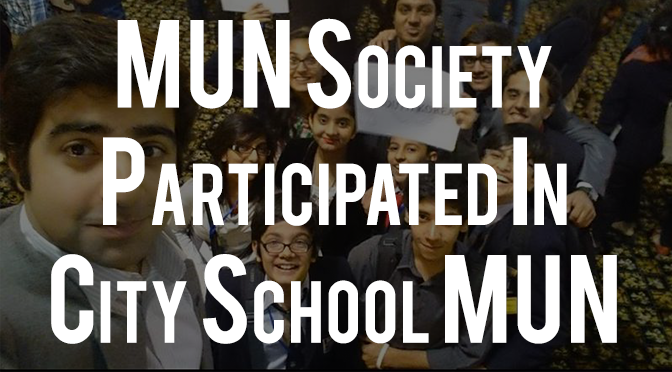 The City School, Shalimar Campus held a large Model United Conference (November 2014) in which the MUN Society participated. We sent Areab Shuaib and Arqum Zaheer as delegates, while Waqar Karim was a committee chair. Arqum Zaheer made FCC proud by winning an Outstanding Diplomacy award in the Pakistan National Assembly committee.